Western drawing techniques came to Myanmar late in the Konbaung Dynasty (1752-1885), and artist U Ba Nyan later played a key role in sharing these techniques with Myanmar artists. 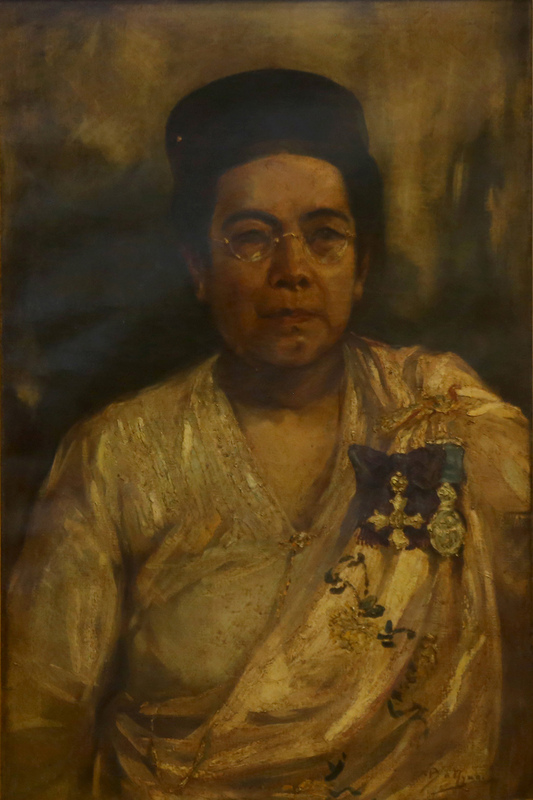 Born in 1897 in Irrawaddy Division’s Pantanaw Township, U Ba Nyan was the first Myanmar artist to go to the Royal College of Art in London in 1921, during the colonial period. He had drawn the portraits of the King George V and colonial governors such as Sir Spencer Harcourt Butler, Sir Reginald Hugh Dorman-Smith, and Sir J.A Maung Gyi. Though U Ba Nyan had drawn many paintings depicting the landscapes and lifestyles of Myanmar, most of them were bought by the British and lost during World War II. 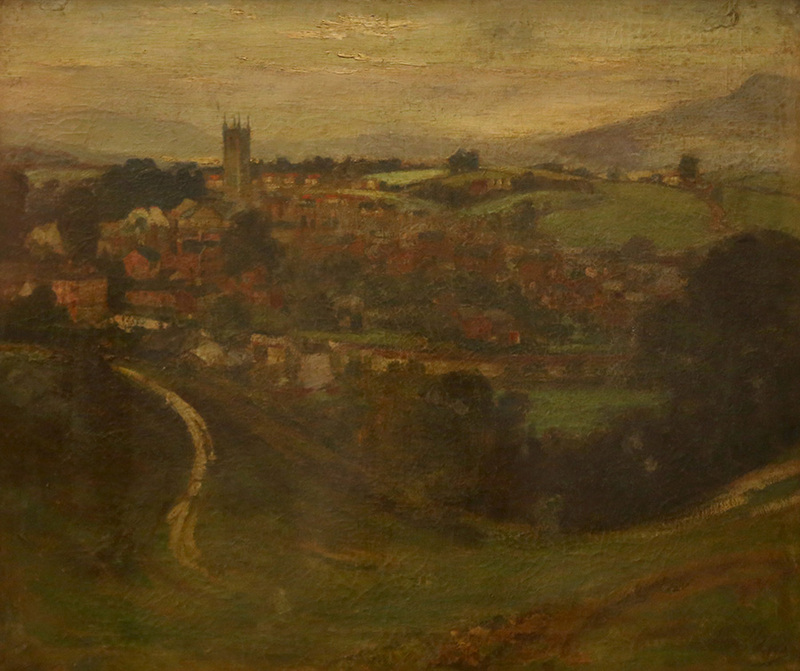 Few of his paintings can be found today. Luckily, there are still six paintings which will be hung at the National Museum at a commemorative art exhibition from July 26-30 to mark the 120th anniversary of U Ba Nyan’s life. Portrait of U Ba Nyan’s father, U Ba Oo, completed in 1933. During the exhibition, more than 500 paintings by at least 300 artists will grace the national museum to commemorate U Ba Nyan, who is regarded as influential in the country’s art history. “It was U Ba Nyan who brought Western techniques to Myanmar. Our masters and Myanmar’s legendary artists such as U Ngwe Gaing, U Ba Kyi, U Thein Han and U Aung Khin were U Ba Nyan’s students. So, it is undeniable that U Ba Nyan is the master of entire Myanmar art world,” academy-winning director and artist Soe Moe said. U Ba Nyan also drew portraits of influential figures such as Sir Paw Htun, Sir Ba Oo and Shan saophas. He died in 1945 in the village of Ka Toe in Mon State’s Moulmein while fleeing World War II, and his death went unnoticed. Though U Ba Nyan is a significant figure in Myanmar’s art history, many argue that he did not get the honor he deserved. His name was resurrected again only after some local artists in Moulmein came to the village of Ka Toe to repair U Ba Nyan’s tomb in a small graveyard a few years ago. The ongoing art exhibition is the first of its kind to be held on a grand scale in his remembrance, more than 70 years after his death. An officer’s wife, Daw Mya May. His six paintings have been kept at the National Museum and are now on display with the permission of the Ministry of Culture. Among the paintings are a European landscape, a portrait of his father U Ba Oo, his self-portrait, a Buddhist monastery, an individual known simply as “the chubby man,” and an officer’s wife, Daw Mya May. 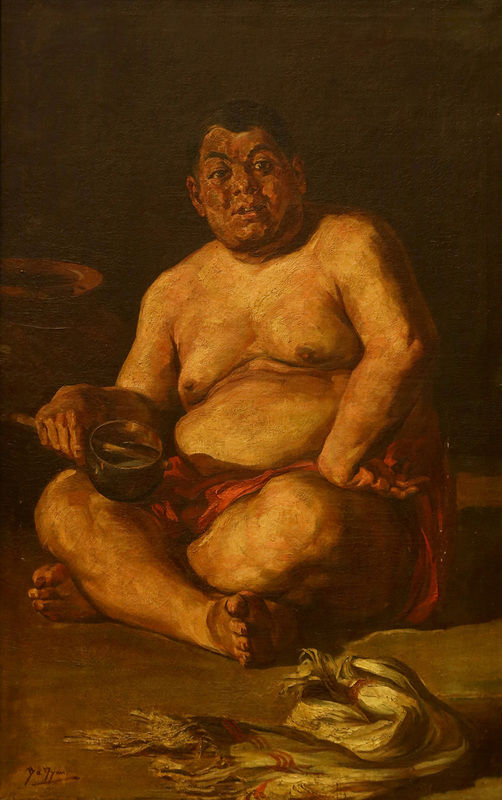 His oil painting of his father U Ba Oo (1933), done with heavy use of chiaroscuro and impasto techniques, is regarded as one of his masterpieces. Other paintings will be on sale for prices ranging between US$100 and US$1,500. More than half of the proceeds will be donated to the funds for casting bronze statues of U Ba Nyan to be put respectively in Ka Toe village, the National Museum and the National University of Arts and Culture. 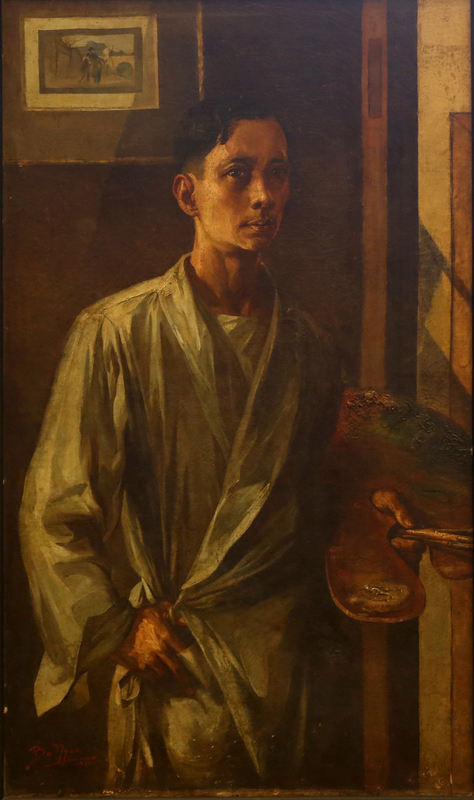 His artistic career spanned just 15 years, from 1930 when he came back from London to Myanmar, until his death in 1945. But during this short time, U Ba Nyan was able to revolutionize Myanmar’s artistic sphere. 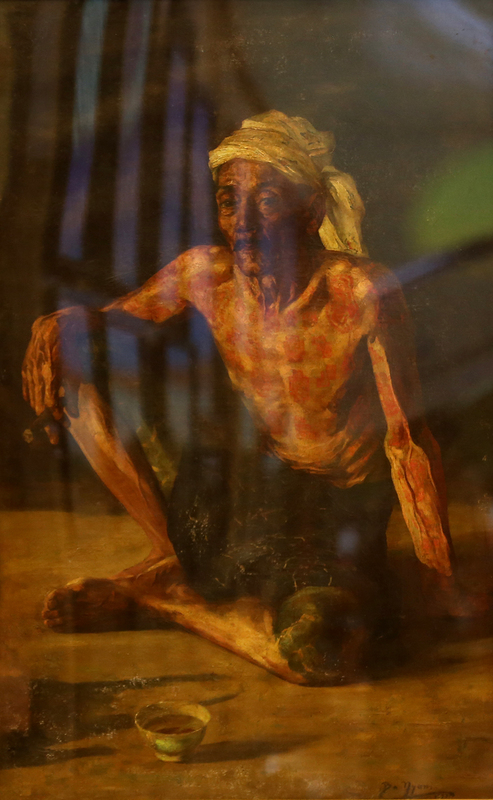 His paintings, now more than 80 years old, will be hanging at the National Museum until Sunday.